Take a little bit of Mama’s home with you with our official Mama’s on The Hill merchandise. With Mama's merchandise you can take a bit of The Hill with you where ever you go. Show your support with Mama's ravoli t-shirts, and get a touch of our own Little Italy with Mama's dressing! 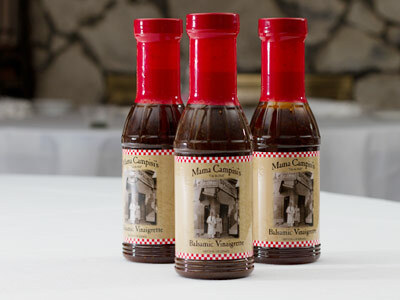 Our famous house dressing is available for purchase! Mama's salads are delicious, and now you can make them yourself at home. Our dressing is also fantastic as a marinade, and perfect as a special gift from "The Hill." Purchase by the bottle for only $4.95 or save 25% and order a case of 12 for only $45.